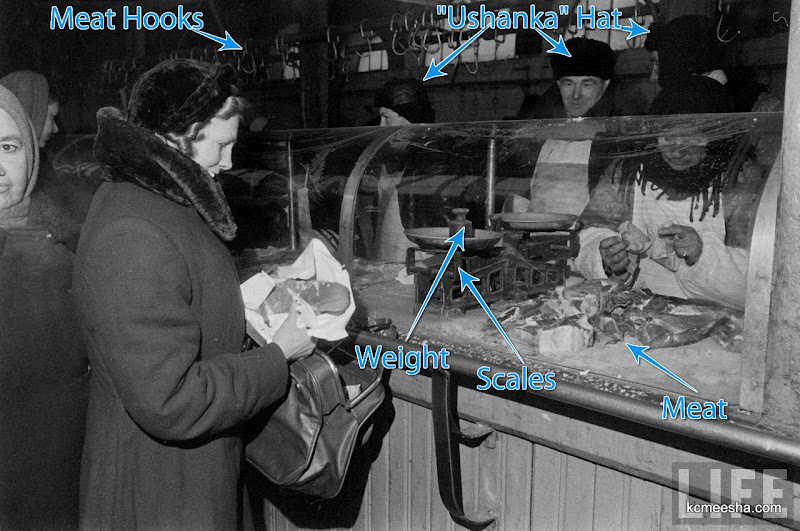 Few years ago I marked up some Life Magazine photos made in the 1950’s USSR in the style of long-gone Pop-Up Video. Only because I have all this time to waste like to entertain the readers of this here blog, I am posting a few more. *all following photos ©Time Inc. Ed Clark. 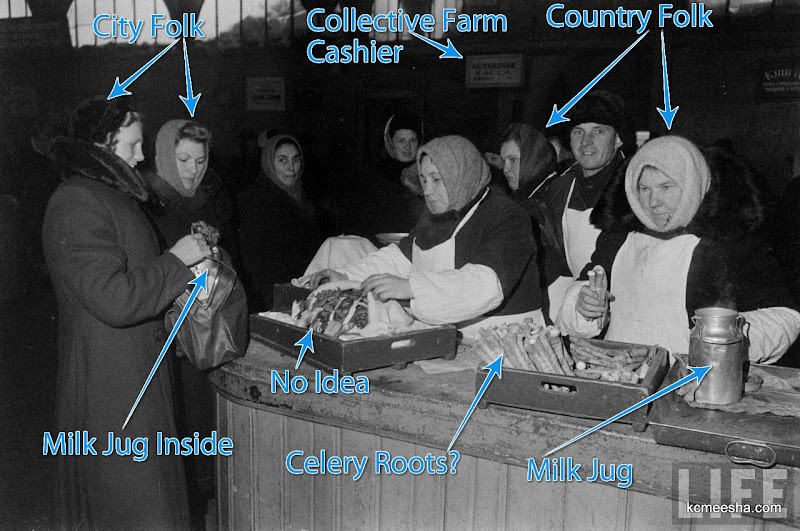 Life of a so-called “typical Soviet worker”, the Dmitriev family. The father, a skilled metal worker, is actually a member of the Communist Party and does much side work for it, so they live far above working class average. Two giant cones where filled with juice which was then dispensed at the room temperature using little shutoff valves at the bottom. Sometimes there were more than two cones. Favorites – Tomato (there was always a cup of salt to mix with it), Apple and Birch Juice. 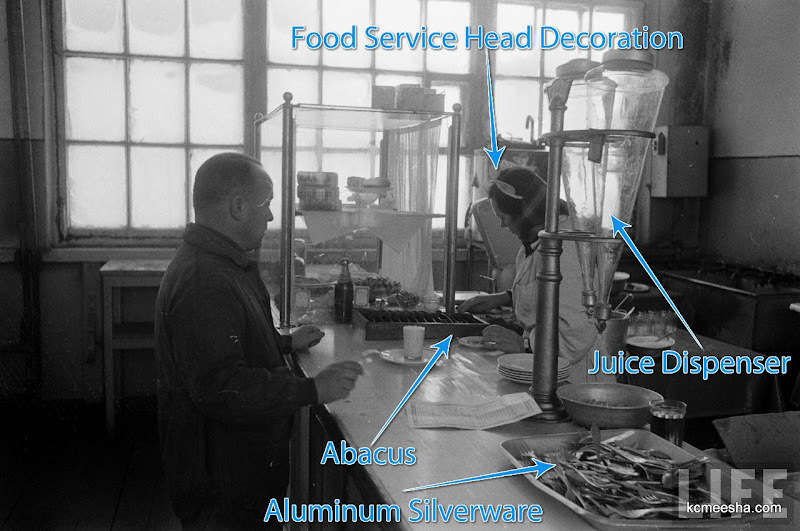 Employees of even the dreariest of cafeterias for some reason felt inspired to wear little white headdresses. 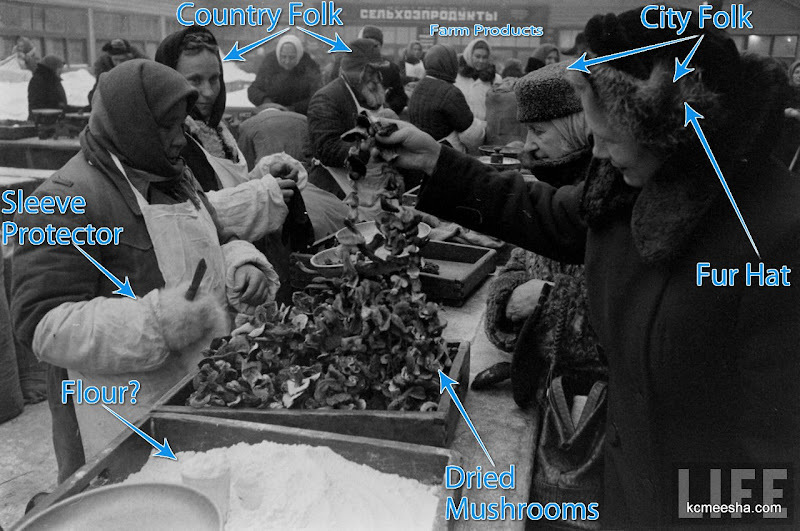 Lack of meat and other basic staples in the food stores, drove people to the Farmers’ Markets. Here we see a clear difference between the way people dressed in the city and in the country. City people preferred to buy stuff from the most country-looking sellers, some of them were known to exaggerate their peasant looks a little to get more sales. 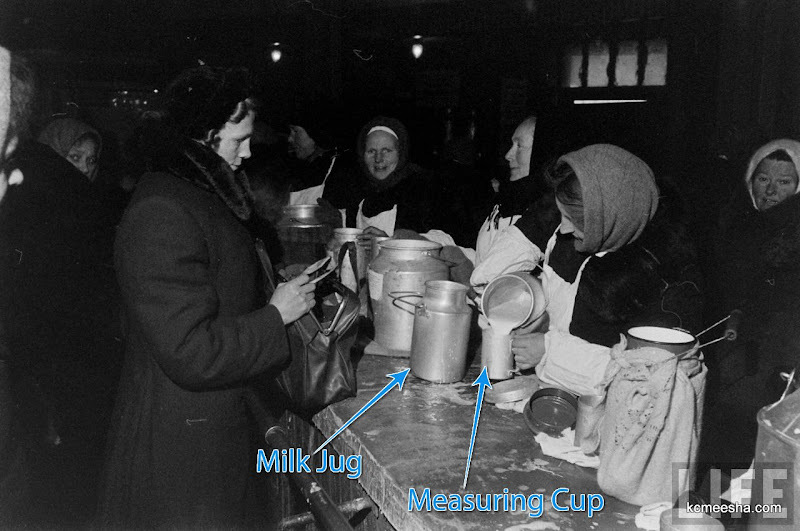 Milk was poured in measuring cups and then into a vessel the customer had to bring to the market. Even at the stores most of the items were not packaged and people had to bring their own jars to buy things like sunflower oil. 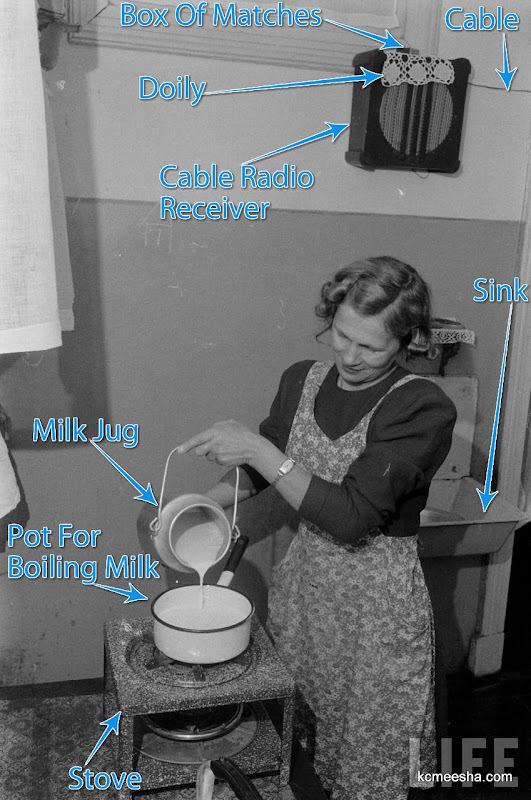 Milk had to be boiled so it would last longer. Drinking hot milk did not cause the same reaction it would produce around here. Notice the cable radio receiver. These things existed in every kitchen. Small charge was added to the rent to pay for the radio. 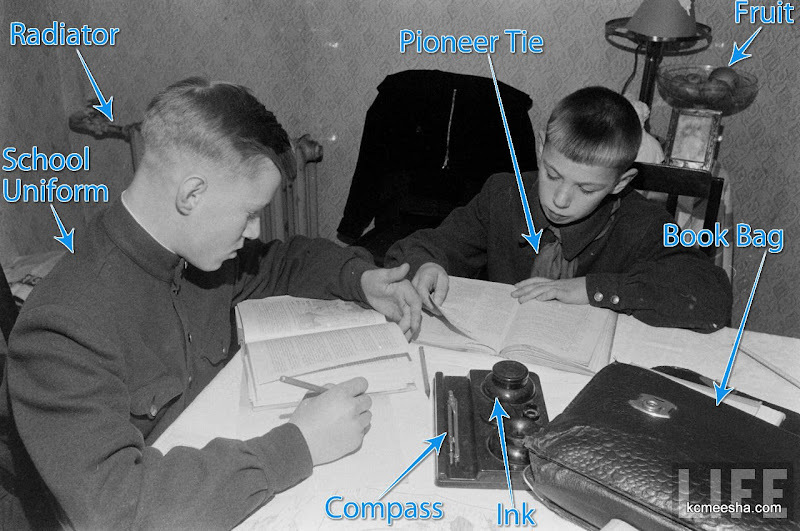 At their most advanced age, they had three radio channels. People woke up, exercised, lived their daily lives and went to bed with the sounds of the radio. Every electronic device had to be covered with a doily. Tradition! The cot was used when several people had to sleep in the same room. Most of the time people had one or two rooms at the most. Sleeping arrangements were complicated. 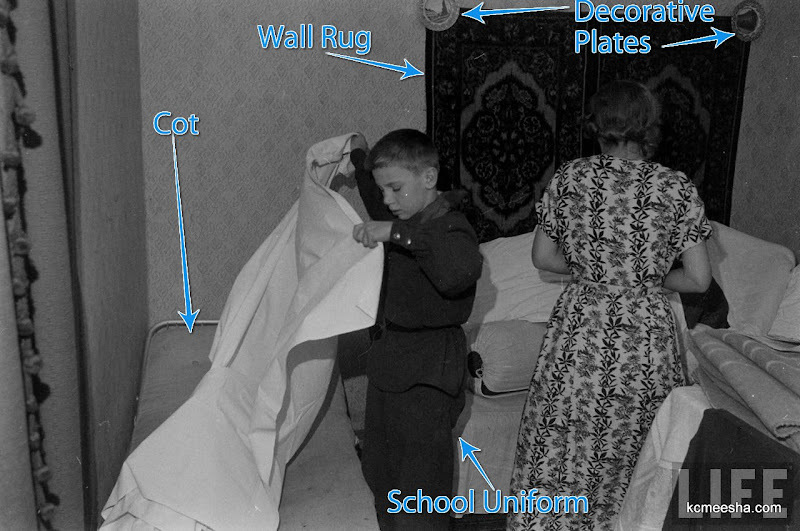 Notice the wall rug, a status symbol or a wall insulation, whatever explanation you like better. At the dress store the selection of summer dresses is available but it’s the middle of winter. Good luck buying something warm. Judging by the number of willing buyers this will not last long. 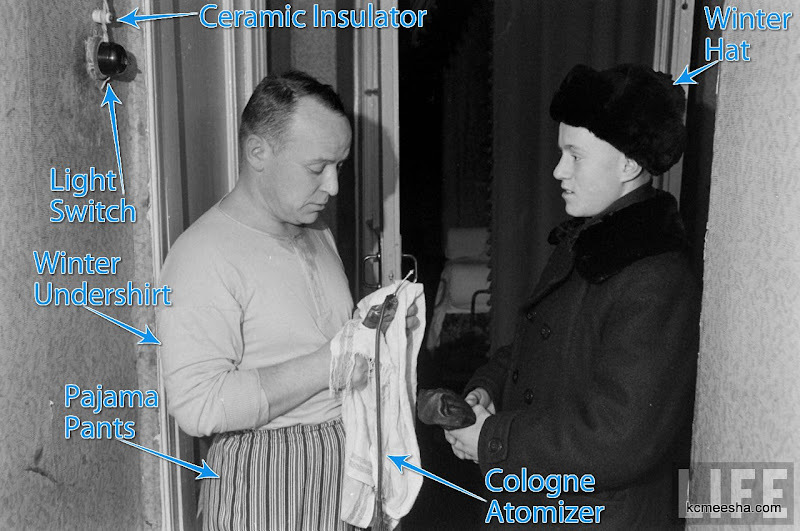 Cologne Atomizer – cologne was used in place of aftershave; the only way one could describe the smell was “very strong”. 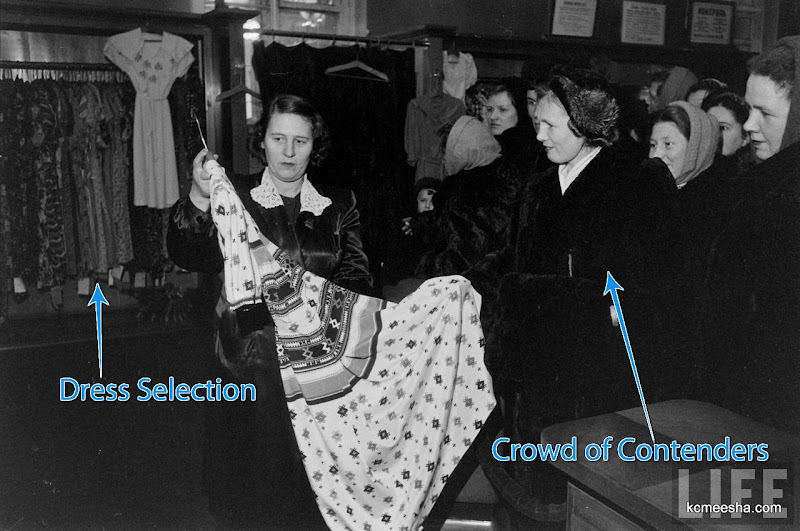 People had a set of home clothes and changes as soon as they got home. 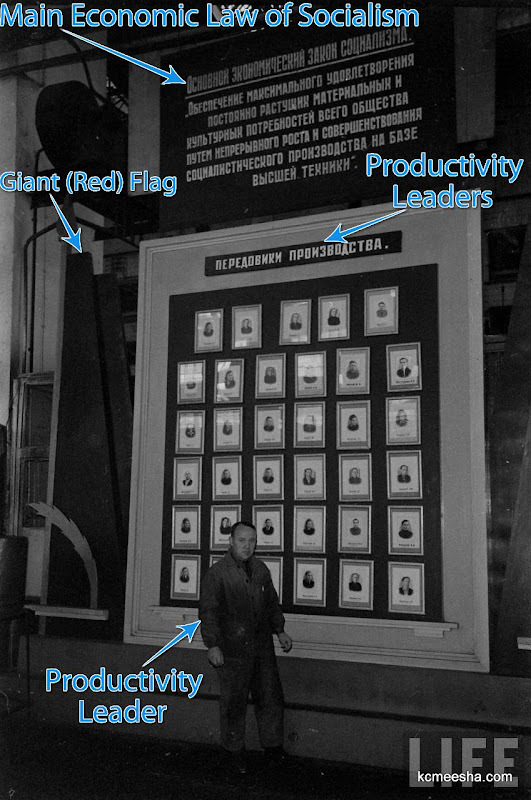 The Soviet Government didn’t believe in material rewards, so placing a photo of a good employee on the Wall of Honor was supposed to replace the cash. Maximally satisfying constantly growing material and cultural demands of the entire society with continuous growth and improvement of the socialist production based on modern technology. 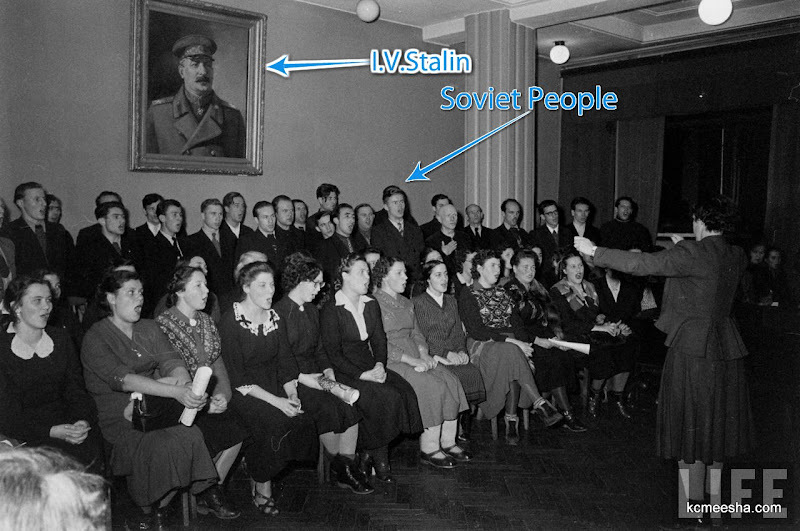 In 1956 the portraits of Stalin were about to get thrown out.